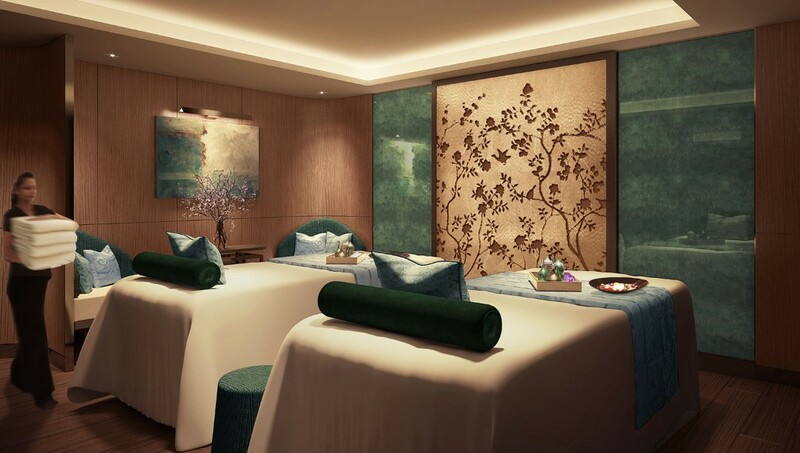 People are always on the move in London’s elegant Knightsbridge neighbourhood, but there’s now cause to pause following the reopening of The Spa at Mandarin Oriental, Hyde Park. People are always on the move in London’s elegant Knightsbridge neighbourhood, but there’s now cause to pause following the reopening of The Spa at Mandarin Oriental, Hyde Park. Designer Adam D. Tihany – who worked on Mandarin Oriental’s properties in Las Vegas and Geneva – has created elegant new interiors that imbue a sense of balance and harmony inspired by Chinese fashion and symbolism.Chief among its 14 treatment rooms is the Oriental Suite, an opulent space fit for an imperial prince and princess, complete with couple’s treatment beds and a Rasul water temple for skin treatments that combine heat, steam and mud. The Spa has partnered with some of the top names in wellness and skincare products, including Aromatherapy Associates, Sodashi and Linda Meredith. As well as Mandarin Oriental’s far-reaching menu of signature treatments, The Spa offers Nescens face and body treatments for men and women; Philip Kingsley hair treatments; ASANTE Chinese Medicine consultations; and a Mani:Pedi:Cure Studio by Bastien Gonzalez. Before (or after) treatments, guests are invited to relax in the amethyst crystal steam room, vitality pool and zen colour therapy relaxation area; and London’s most renowned pilates practitioner, Hollie Grant, has launched a new branch of her successful PilatesPT studio in the hotel, which will become her new HQ in London. Cap it all off with a 17-metre stainless steel swimming pool and a fitness centre kitted out with the latest gear from Technogym, and The Spa promises to be the ultimate escape for body-conscious Londoners.